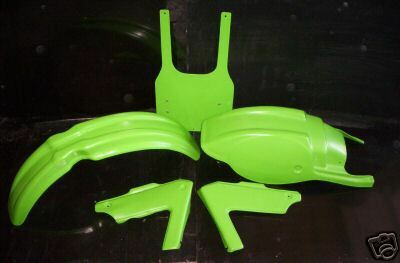 This kit includes a front fender, rear fender, pair of side panels, and a front number plate unit. 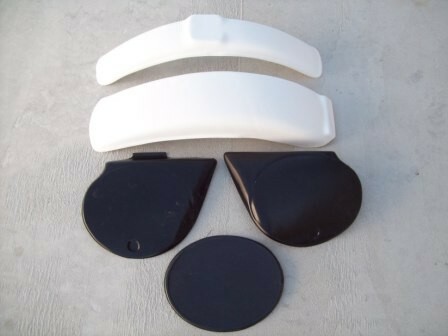 The fenders and front number plate are available in white or black. 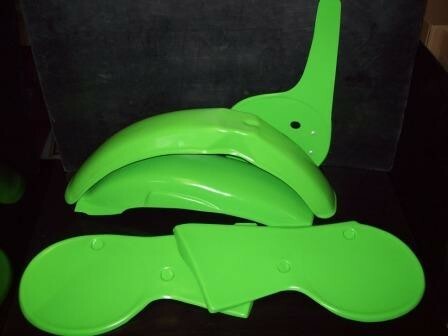 This kit includes a front fender, rear fender, pair of side panels, and front number plate. 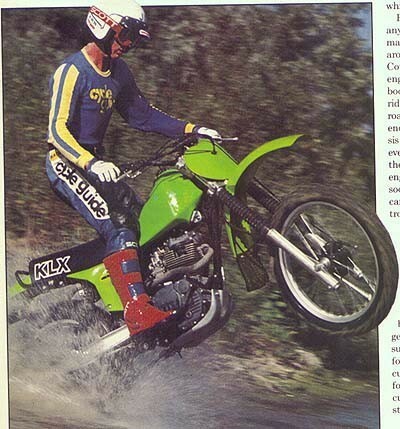 All of the plastic is kx green. 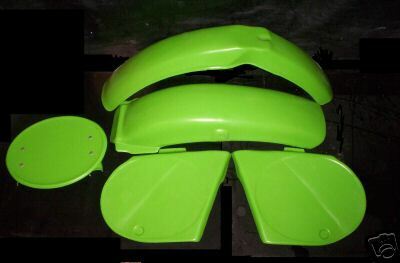 This plastic kit includes a front fender, rear fender, pair of side panels and front number plate. 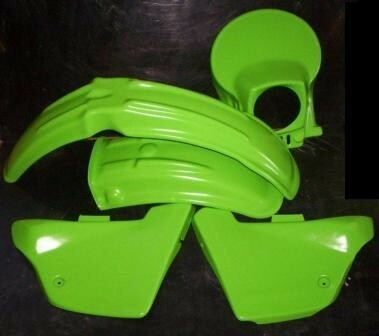 This plastic kit includes green front and rear fenders, green side panels, and a green headlight holder. 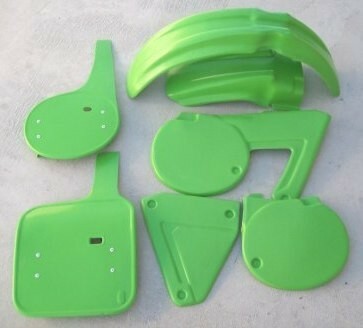 This plastic kit includes green front and rear fenders, green side panels, and a green headlight holder. For individual pictures, please click on the "Plastic" category. 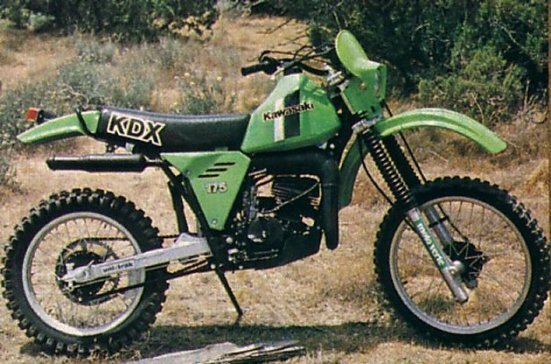 The 1980 KDX kit includes the smaller rear fender (as shown) with no tail light bump. The 81/82 kit has the longer rear fender with the tail light bump. The side panels do not have the lip molded on the underside of the panel in order for them to snap into place on the air-box. We have left enough plastic on the outside edge of the side panel that it should fit completely around the air-box which reduces the chance of water getting into the air-box. You could also run a small line of foam around the inside of the cover in order to keep mud and water out. 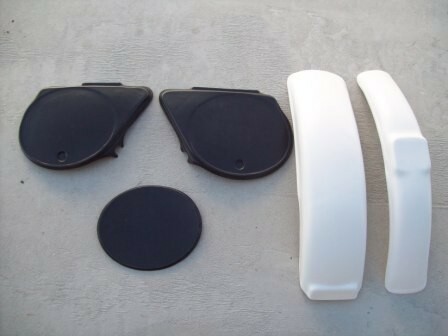 This kit includes a front fender, rear fender, pair of side panels, and front number plate. 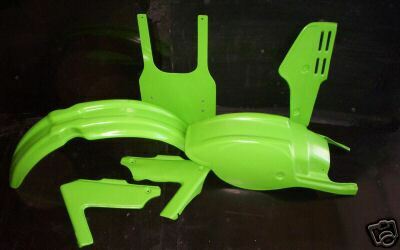 All of the plastic is kx green. Click on the item title to select a style for the front number plate.